“Brain drain ” is a challenge in many Midwestern states, as highly skilled high school and college graduates flock to large metropolitan areas to pursue their careers. But here in Nebraska, where one in four jobs is related to agriculture, FFA and agricultural education programs are helping reverse that problem. Of Nebraska’s 268 high schools, 150 offered agricultural education programs during the 2013-2014 academic year. Kreifels notes students don’t need to come from a farm or rural setting to benefit from an agricultural education program. 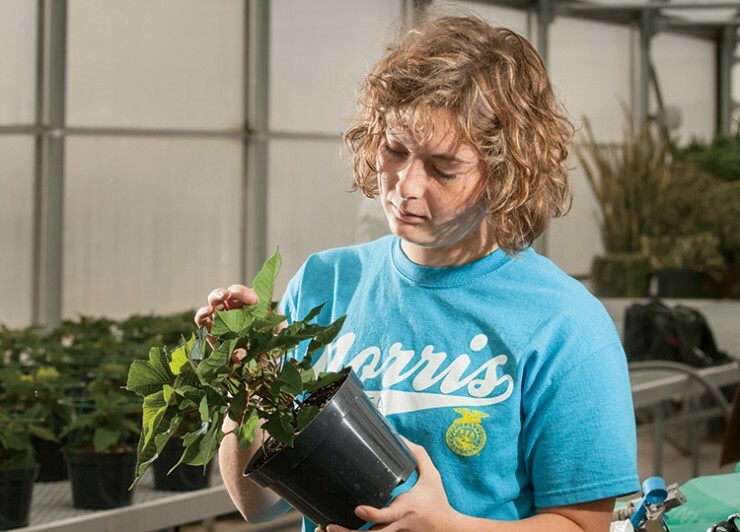 More than 13,000 students are enrolled in agricultural education courses statewide, and those classes are preparing them for more than 300 possible careers in agribusiness, animal and plant systems, natural resources, environmental systems, food science and more. 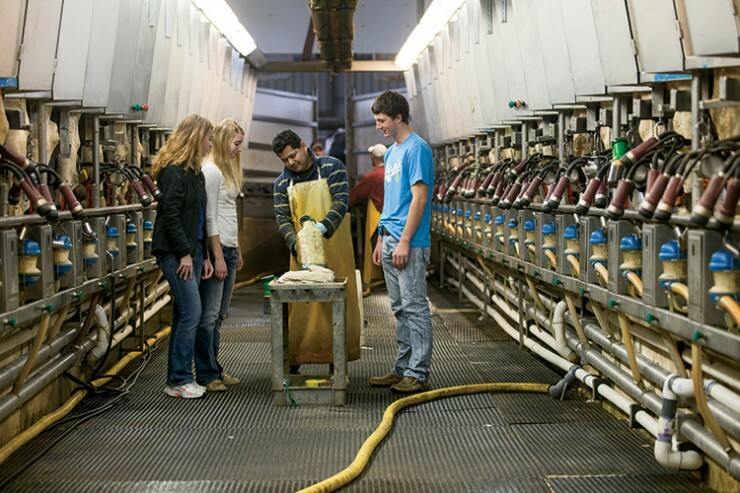 Agricultural education in Nebraska consists of three components: classroom instruction, experiential learning through a supervised agricultural experience (SAE) and leadership development through FFA. Nebraska had more than 6,600 FFA members in 2012-2013, and that number grows every year. 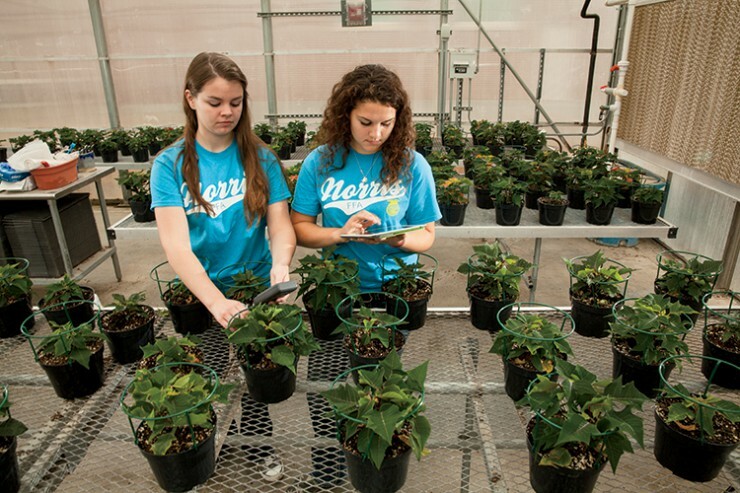 Norris High School’s successful agricultural education program has been preparing students for career success since 1969. Two full-time agriculture instructors and FFA advisors – Doug Malone and Kristyn Harms – teach 500 students each year about everything from greenhouse management and floral design to landscaping, welding and animal science. The Norris FFA Chapter has 100 members who are active in their school and community. Spalding Public School’s FFA chapter was established in 2006 and has 34 members, but despite its small size, it has had a huge impact on the surrounding community. The chapter hosts a fun annual community event called the Blue Rock Shoot, a 5K Run/Walk, 1-mile Kids’ Fun Run, and a petting zoo, during FFA Week. “Elementary students and community members enjoy visiting all the animals, and it gives members a chance to do a little agricultural literacy as well,” says Abby Knobbe, Spalding FFA advisor. Spalding FFA also raises vegetables and flowers in a greenhouse, collects and recycles the community’s aluminum cans, and landscapes at a local park. Knobbe says it’s rewarding to see students blossom from shy, quiet individuals to accomplished speakers and leaders. Nebraska York FFA’s grant-funded school garden benefits the community.